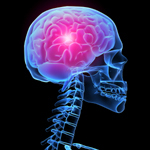 A headache is a common symptom that involves aching or pain in one or more areas of the head or face. While there are many different types of headaches, one of the most common and most severe are migraines, which cause throbbing pain and may also lead to nausea, vomiting, depression and sleep disruption. Headaches can often be treated with chiropractic care and over-the-counter medications, although some are so severe that they require more advanced prescription drugs.